Wiley-X Black Ops Reign Tactical Sunglasses | 600777, WILEY-X, Wiley-X Black Ops Reign Tactical Sunglasses | McDonald Uniforms, Inc. 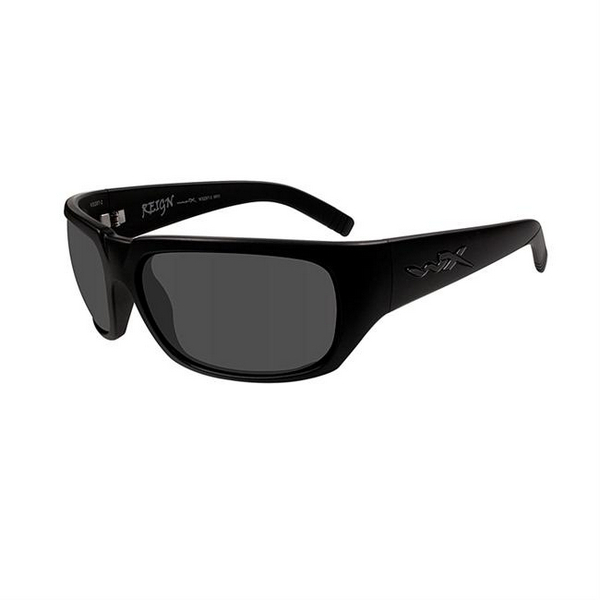 The Wiley X Reign Sunglasses are part of the outdoor, street series and feature a medium to large fit with thick, polished frames. These sleek designsunglasses are a great choice for any of your outdoor pursuits. They offer a fashion-forward, Italian design without sacrificing any of the protection you would expect from a pair of Wiley X glasses. Inspired by the shadowy realms of covert operators, Wiley-X Black Ops was created for elite-level military personnel, law enforcement personnel and hard-core shooters.